E. Sean Medina is a commercial litigator with a practice focused on providing creative and focused legal counsel to corporations of various sizes facing commercial disputes in state and federal courts. Sean regularly represents companies prior to litigation and in front of state courts, federal courts, and arbitrators in complex commercial cases, class actions, healthcare litigation, and general litigation matters. 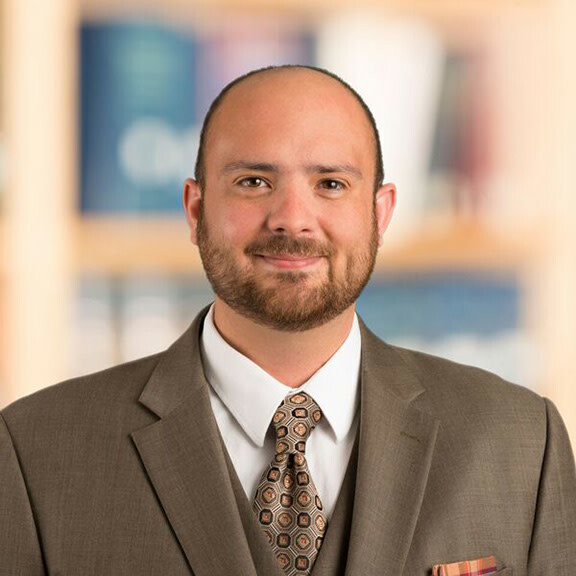 Sean has a successful track record of early victories achieved through defeat of class certification and securing dismissal of or summary judgment on the claims of the class representatives. Sean serves companies in a broad range of industries including mining, healthcare and health insurance, title insurance and escrow, hospitality, and mortgage lending. In these industries, Sean counsels clients through litigation matters including breach of contract claims, franchise disputes involving termination and trademark infringement, lender liability claims, healthcare litigation, payor-provider disputes, managed care litigation, statutory consumer protection act violations, business torts and fraud claims, and class actions defense. Abercrombie v. Aetna Health, Inc., U.S. District Court for the District of Colorado No. 1:15-CV-00994 (2016), and Tenth Circuit Court of Appeals No. 16-1152 (2017). Obtained dismissal of action against health insurer for claim that insurer violated state statute since 1970s through its reimbursement of chiropractors; dismissal upheld on appeal. Bourbon Cmty. Hosp. v. Coventry Health and Life Ins. Co., U.S. District Court for the Western District of Kentucky No. 3:15-cv-00455 (2016). Obtained dismissal of action against Medicaid managed care organization for breach of contract and statutory violations for reimbursement policy regarding emergency department claims. IPI II LLC v. The Cleveland Clinic Foundation, Cuyahoga County Court of Common Pleas No. CV-12-786463 (2013) and Eight District Court of Appeals Nos. CA-13-099988 and CA-13-099898 (2014). Successfully defeated commercial replevin against health care provider, obtained summary judgment and obtained affirmance on appeal. Chultem v. Ticor Title Ins. Co.and Colella v. Chicago Title Ins. Co., Cook County, Illinois (2013). Member of trial team that obtained complete defense verdict in bench trial of two consolidated statewide class actions alleging RESPA, Illinois Title Insurance Act, and Illinois Consumer Fraud Act violations and seeking $250 million, plus trebling. Bushbeck v. Chicago Title Ins. Co., U. District Court for the Western District of Washington No. C08-755-JLR (2011 and 2012). Defeated two class certification motions in a nationwide RESPA and consumer fraud class action. Maxus Capital v. TIMCO, Cuyahoga County Court of Common Pleas, Ohio No. CV-11-750485, and Guilford County Superior Court, North Carolina No. 11 CVS 4152 (2011). Second chair of team that obtained commercial replevin of jet engine refurbishing equipment, while defending companion case in North Carolina. Cliffs Sales Co. v. Am. Steamship Co., U.S. District Court for the Northern District of Ohio Nos. 1:07 CV 485, 1:07 CV 01466 (2008). Member of trial team awarded $3.7 million jury verdict on commercial breach of contract claim. Cornelius v. Fidelity National Title Co., U.S. District Court, W.D. Wash. Case No. 2:08-cv-00754 (2009). Member of the team that defended escrow holder against claims by plaintiff consumers who sought to recover in excess of $5 million for reconveyance fees collected by the escrow holder. Obtained dismissal of some claims and then summary judgment as to the remaining claims. Various confidential arbitrations involving breach of contract actions. "Conflicts of Interest for Expert Witnesses," E. Sean Medina, Esq. Rising Star, Ohio Super Lawyers®, 2014-17.